To be a top-secret super-spy you have to be a small Japanese person with big bulging eye's and a squeaky voice. If not, you won't meet the requirements, and there'll be no chance you can feature in the following 64-minute movie developed in 1939. It was Directed by: Herbert Leeds; and Starred: Peter Lorre, Jean Hersholt, Amanda Duff, with Warren Hymer. Can you remember what you said to me when I first came to Puerto Rico, McGurk (Warren Hymer)? You said, 'Mr. 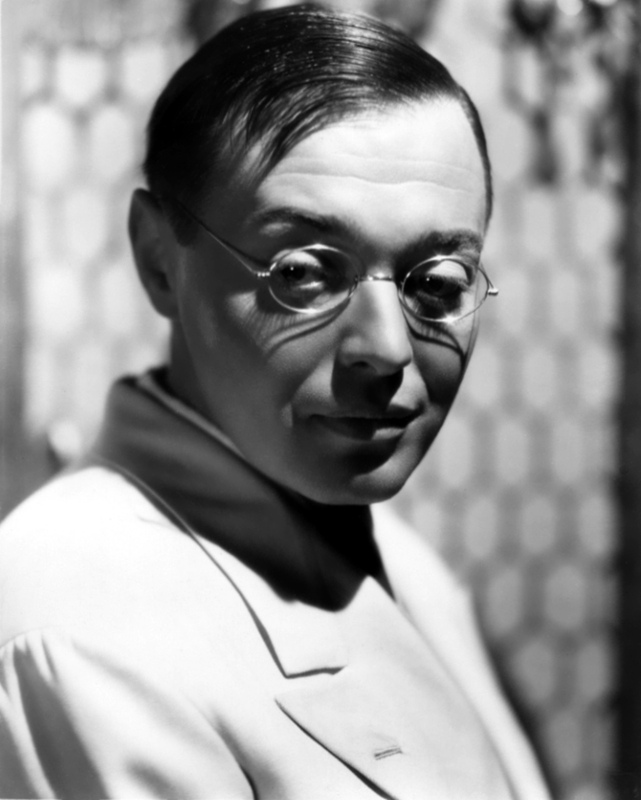 Moto (Peter Lorre), I'm going to help you track down those crafty diamond smugglers no matter what'. But now that you've actually been with me for a whole day or so, how do you feel about your initial decision? I mean, were you shocked to see us abducted by bandits, shunned by my superiors, and shot at in the swap? Yes. I'm sure you were. Although what concerns me the most is how I also suspect that someone is aiding these smugglers from behind the scenes. Honestly, McGurk. One part of me thinks La Costa (Douglas Dumbrille) could be involved because of his dubious disposition. Another part of me thinks Colonel Castle (Charles D. Brown) could be involved because he didn't want me to investigate this case. And yet another part of me thinks Sutter (Jean Hersholt) could be involved because he knew of my arrival before the others. Still, whatever the case may be, that's most probably why what next transpires all takes a splash when my bathroom goes electric. As an impromptu dance leads to a sudden death - a token hero takes steps from Macbeth - a trip to the swap needs some further negotiation - and at precisely eight o'clock, an accomplice unveils his secret association. Now if you examined my last -- and first -- Mr. Moto movie review, you might've guessed that I wasn't one hundred percent sold on this 1930's film franchise. At first glance I honestly thought the remainder of these productions would be a mixed bag full of one-dimensional characters and a bunch of mumbled story-lines. However, after I sat down and purposely watched a Peter Lorre documentary broadcast on the Biography Channel, I thought to myself, 'Hey, why not give these films another bash?'. And do you know what? I'm pleased that I did. Because all in all I'd say 'Mr. 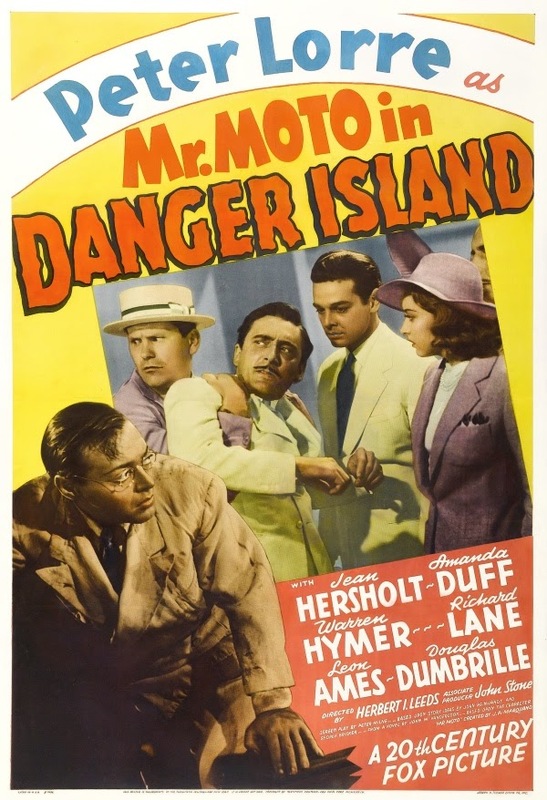 Moto in Danger Island' was a pretty nifty film. You see, unlike the previous movie I reviewed, I felt this one was noticeably better due to the characters and the plot being defined in a much cleaner manner. This time round I also had a better grasp on who Mister Moto was as a person, and how he basically came across as a mixture of Sherlock Holmes, James Bond, with a dash of oriental flavour added in modest measures. Of course, in more politically correct times it is frowned upon to see a Hungarian person playing an Oriental person. Although you have to remember that this film was made during an era where this sort of 'anglicized re-interpretation' was part of the norm. Such as in the Sherlock Holmes movies, where we see a South African Basil Rathbone play a very English detective. Anyway. That's ancient history. What I'm here for is to talk Moto, and how this adventure was sold to me primarily on three aspects associated with it. Firstly, I loved the inclusion of the McGurk character -- as played by Warren Hymer -- who I felt aided this piece by adding a 'comedic value' it sorely needed. Secondly, I did like how Moto himself always seemed to be three steps ahead of everyone else, even though it wasn't always that apparent straight off the bat. And thirdly, on the whole the narrative and the principle characters were pretty damn intriguing to follow, because they had that way of making you second guess who 'the secret benefactor' was all the way through its telling. Honestly, my friends. I'd say this film tantalised my taste buds to such an extent that I may watch more of them in the future. But before then, we all best sit back, relax, and check out the following filmic-facts. (1) '20th Century Fox' first released this production in America on the exact same day Italy invaded Albania. It was on the 7th of April, 1939. (2) Loosely translated, this project was entitled 'Mr. Moto Incognito' in Mexico; 'Mr. Moto Pirate Island' in Hungary; and during post-production it was given the working-title, 'Mr. Moto in Puerto Rico'. (3) Just like the rest of the Mr. Moto movies developed by Fox, the majority of this one was shot at '20th Century Fox Studios', Pico Boulevard, Century City, situated within the Californian state of Los Angeles. (4) One of the taglines used to promote this picture, was, 'HUNTED BY THE POLICE! STALKED BY A KILLER!'. (5) According to the credits, this story was limply based on a novel written by John W. Vandercook entitled, 'Murder in Trinidad'. The only problem with this theory though, is that the book was published in 1944, and this film came out in 1939. (6) Now to follow on from my previous fact, you might like to know that originally this adventure was going to be a Charlie Chan murder mystery called 'Charlie Chan at Trinidad'. 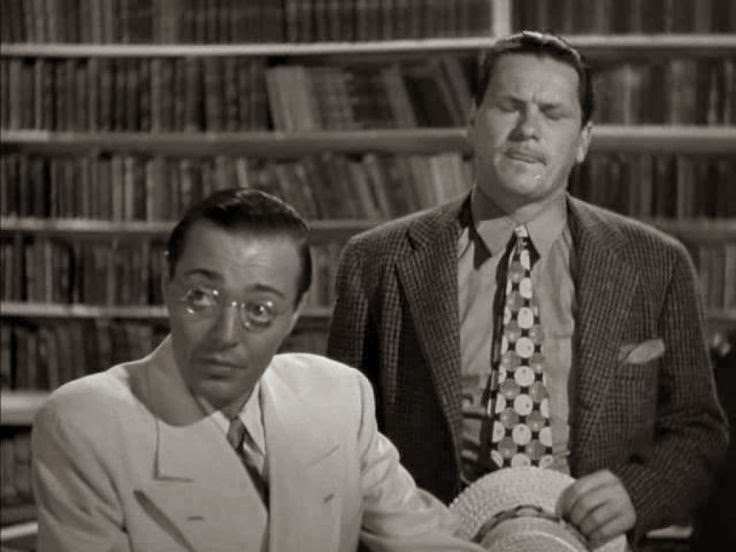 Yet when the actor who played Charlie Chan suddenly passed away -- the late, great Warner Oland -- the entire script was re-written just to accommodate this production. (7) Even though this was the second to last Peter Lorre 'Mr. Moto movie' released by Fox, in actual fact it was the last one shot. The other last one was 'Mr. Moto Takes a Vacation', and it was developed two months earlier. 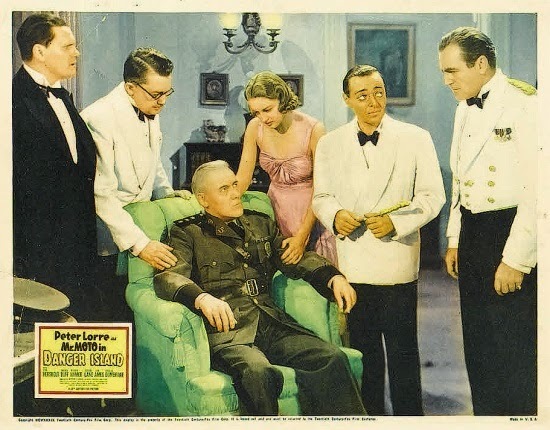 (8) After this flick flapped a flop, Peter Lorre starred in the drama, 'Strange Cargo'; Jean Hersholt starred in the adventure, 'Meet Dr. Christian'; and Amanda Duff starred in the melodrama, 'Hotel for Women'. Overall I'd say 'Mr. Moto in Danger Island' was a pretty good film considering I wasn't expecting much after my last review. It had a very intriguing story-line that was complemented with a bunch of great -- yet diverse -- characters, plus it was very well produced too. And so on that note, my friends. Nuff said.